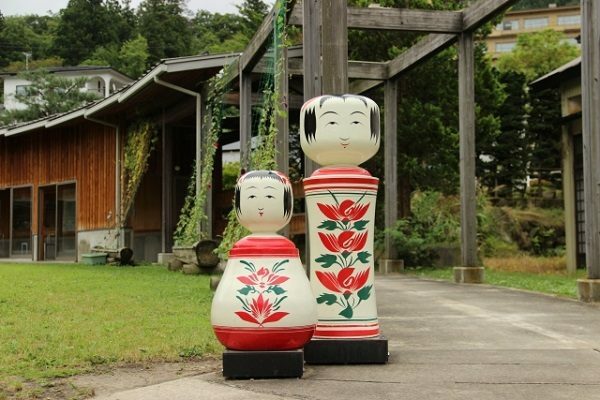 We introduce Tokyo Kokeshi manufacture at Hachioji and history of northern Kokeshi! Video for manufacturing process of Tokyo Kokeshi can be seen below!! 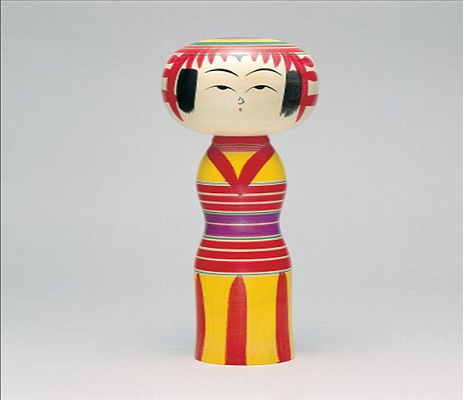 Kokeshi dolls is a Japanese traditional handmade wooden doll, originate from Tohoku region of Northern Japan. It is known as lucky charm for children. 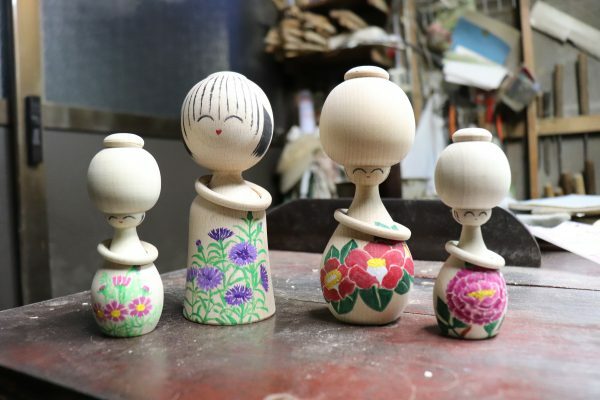 The wooden dolls has a simple shape, a spherical head and cylinder torso. The face, hairstyle and kimono (cloth) are different depending on Kokeshi. Kokeshi dolls has been popular as a child’s playing doll since ancient times although it was temporary declined in popularity by the toys of mass production in Taisho period. Currently it is getting popular for not only Japanese but also foreign people. 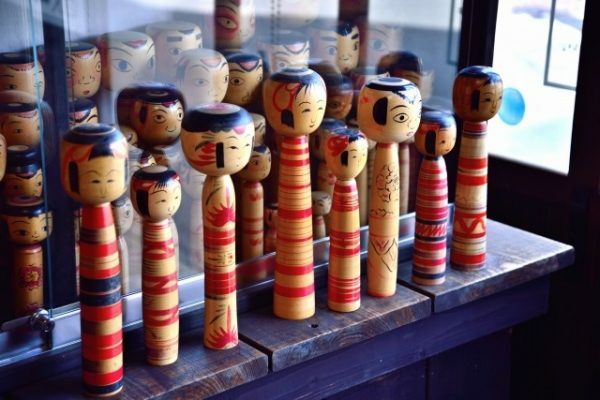 Especially, Tokyo Kokeshi made by Mr. Ookura is very popular in Tokyo area! 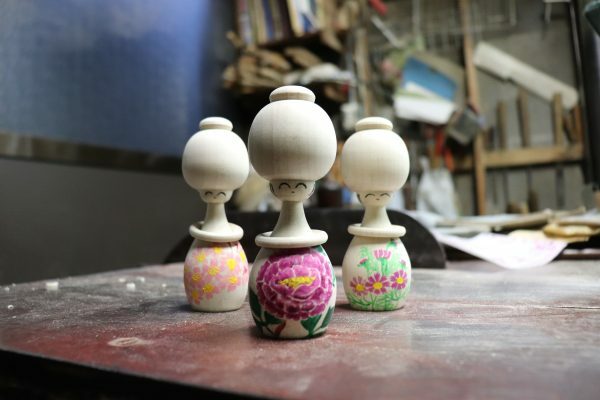 Ookura-Mokkozyo(大蔵木工所) is the only a place where manufacture Kokeshi in Tokyo. 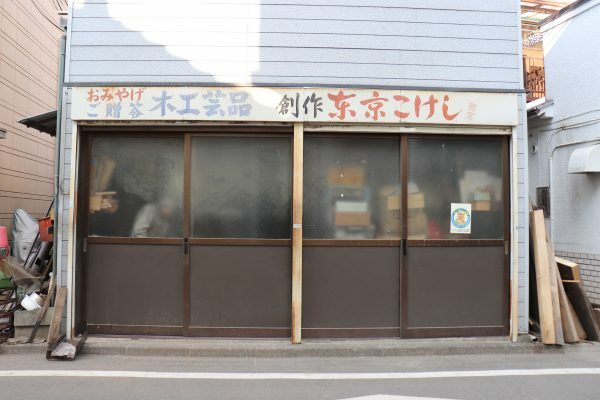 The manufacture located in Hachioji area in Tokyo and has been 60 years since Mr. Ookura take over the company from his father. 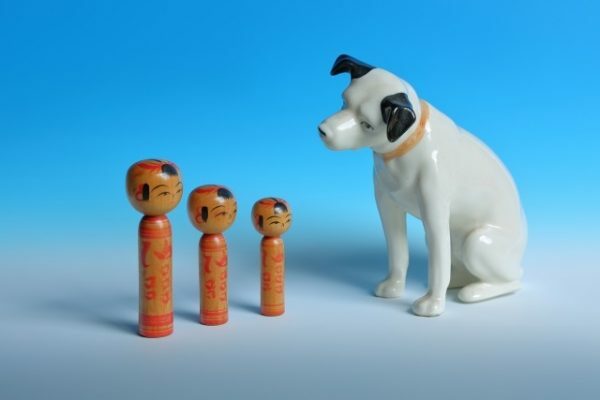 The shape is unique compering to other Kokeshi such as Tohoku Kokeshi made in Northern Japan. Basically Tohoku Kokeshi is bullet shape but Tokyo Kokeshi has big head with chignon. The whole size fit in your hand and the appearance is very cute. Mr. Kuninobu Ookura who is president of the company and prosecute it with his wife. He was born, grown in Hachioji city and is the 5th president. Tokyo Kokeshi was made though the two persons, Mr. Ookura grind a piece of wood and Ms. Ookura draw a pattern for each pieces by hand. We were able to take Video of the manufacturing process!! Check it out this is completely amazing!! What we have surprised was that Tokyo Kokeshi was grounded just in 3 minutes! 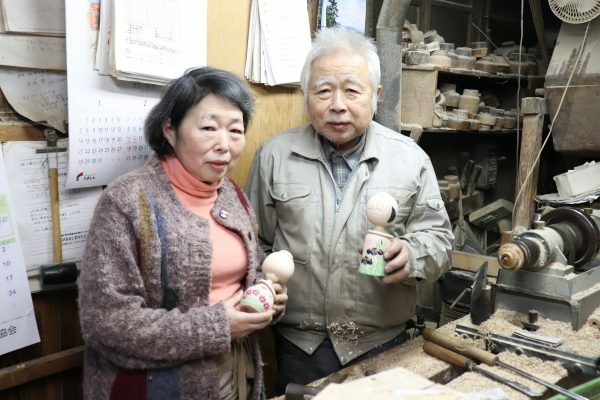 We knew this is the technology of Tokyo Kokeshi creator and felt soul of artisan. The history of Tokyo Kokeshi is very impressive!! Over 35 years ago, Mr. Ookura participated “Furusato Tokyo Festival” at Yoyogi Park and was going to show how to make standard Kokeshi by a piece of wood. At this time, he was going to make only Kokeshi based on Tohoku shape. But he realized that the shape does not have any originality and was bored to make it. 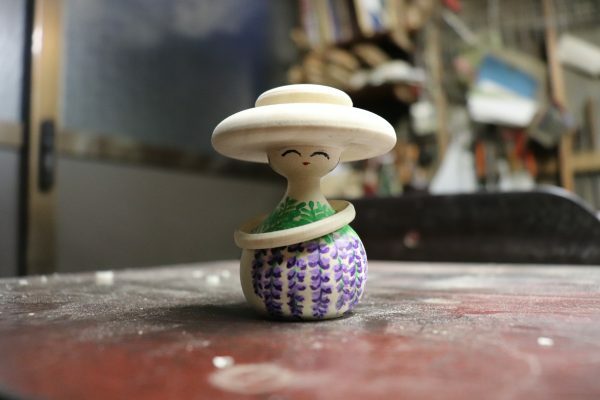 He suddenly came up with an idea to make Kokeshi with original design that customer want! And a poster was made that says “We make anything what you design for wood. Please let us know your design”. Many designs were requested for not only Kokeshi. Then a customer requested similar shape with current Tokyo Kokeshi and it was born at this moment!! The shape was different with Tohoku Kokeshi as the head was big at the time but the torso was not big like current Tokyo Kokeshi. After the Festival, they repeated trial and error and Ms. Ookura mentioned “Big torso probably makes Tokyo Kokeshi more cute”, finally current shape of Tokyo Kokeshi was created!! Small size of Tokyo Kokeshi is 1,000 yen. Happiness Ring The feature of Tokyo Kokeshi is not only for the shape but also a ring called Happiness ring on the torso. As you may see in our video, the ring is also made by same piece of wood!! Tokyo Kokeshi with hat is 1,600 yen. The hat has deep grinding and let us feel high technology. If you like to visit Ookura-Mokkozyo, please check lower part of this article as detail is described. 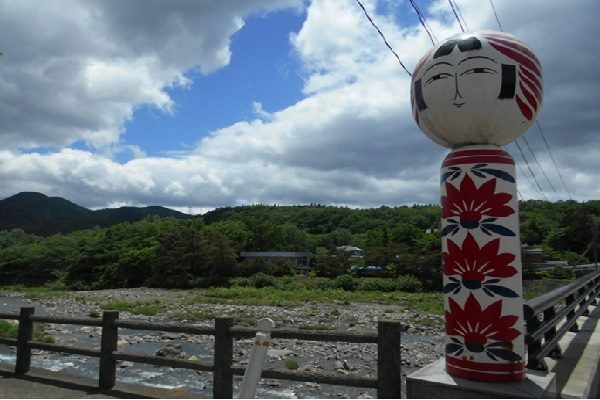 As we described first part of this article, the origin of Kokeshi is Tohoku area Northern Japan. From here, we describe type of original Kokeshi and the history. Kokeshi has some rumor for its origin. 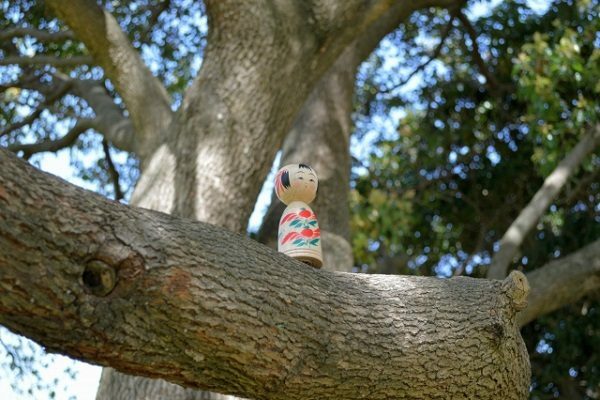 One of most prevalent theory of Kokeshi is that it was made as a lucky charm with a wish for the child’s growth at the end of Edo period (1603-1868). It is said that Kokeshi was firstly made in Tooggata, Miyagi prefecture and secondly made in Tsuchi Fukushima prefecture. Other than rumors above, one of story says Kokeshi was made with a wish for rich harvest to farmers. These two area, Tooggata and Tsuchiyu are famous spot for Onsen (hot spring) and farmars gathered at the area. Then wood artisan made Kokeshi for farmars as a lucky charm for rich harvest. There are many type of Kokeshi in Japan! Each type of Kokeshi have specific feature and it is recommended to buy Kokeshi after knowing the difference!! One of the three major origins of the traditional Kokeshi. The appearance has a specific feature that the head is an inset and it sounds when turning the neck. The pattern of torso is combination of lines. The appearance has a specific feature that the head is an inset and it sounds when turning the neck. The pattern of torso is combination of lines and the thickness of the line would be thin as it close to center. Also chrysanthemum flowers are written. This is also one of the three major origins of the traditional Kokeshi. The feature of this type is that has almond eye and sloping shoulders. The pattern of torso is combination of chrysanthemum and plum blossom. The feature of this type is that has colorful beret and wasp torso. It seems The Kokeshi wearing Kimono and the parttern is lines. This is very unique one!! There are several type of Kokeshi other than those major Kokeshi like Zaou type (Yamagat), Kiziyama type (Akita), Nanbu type (Iwate) and Tsugaru type (Aomori). Enjoy your shopping for Japanese traditional goods! !